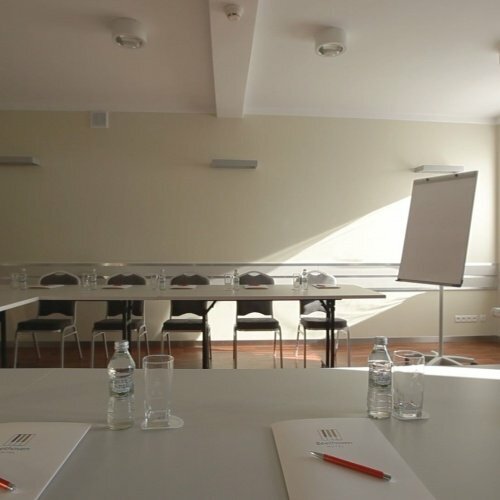 Hotel Beethoven is the perfect place to organize your training, workshops and business meetings. Our experienced staff will prepare perfect event , according to the highest standards, in accordance with your requirements. 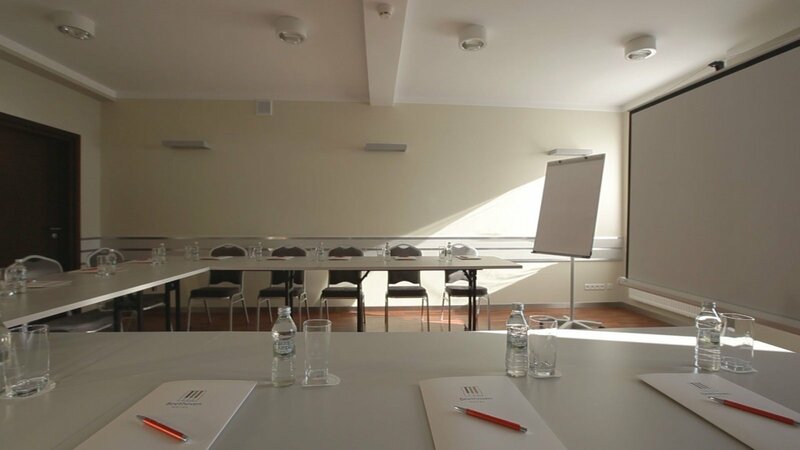 We offer boardroom with an area of 43sqm which is located on the first floor of the hotel and can accommodate up to 45 people. Bright and pleasant colours,good lighting system followed by best quality equipment will support a good working atmosphere. We take into account all customers’ expectations and make every effort to ensure that the whole event goes very smoothly and the participants will remember our hotel as a friendly place. The boardroom can be set to provide maximum comfort during the conferences or meetings. Focusing on details is our expertise. We are open to any suggestions, so please contact us if you have any - we will be more than happy to provide them!